Last weekend the family were at Mangere Bridge on the Manukau Harbour (visiting Ambury farm park – great outing) during a very high tide. Driving along the Kiwi Esplanade Reserve we discovered flocks of what must have been thousands of South Island pied oystercatchers (SIPO). 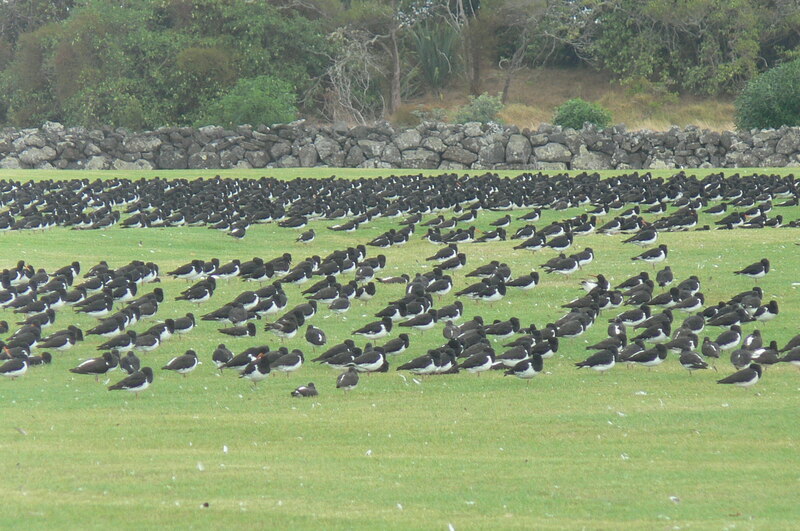 According to the Field Guide (Heather and Robertson,) the Manukau Harbour SIPO population is around 26,000 (out of a NZ wide population of 85,000 birds), and these flocks only a portion of that, but what a sight. 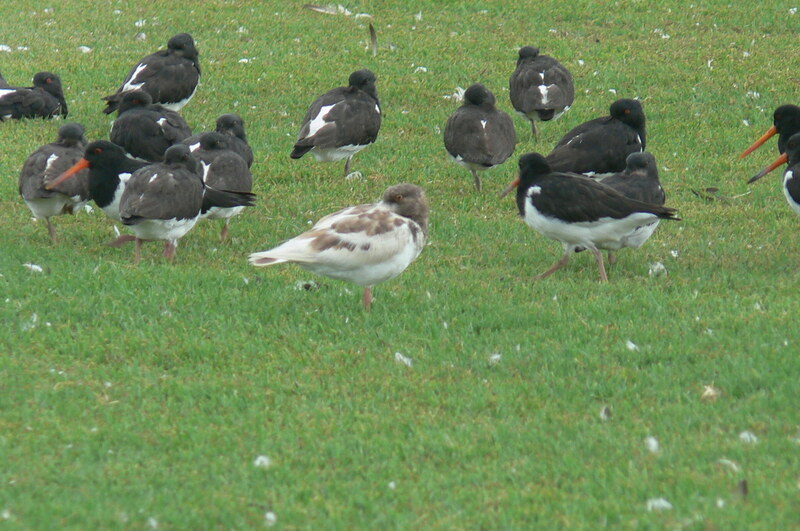 Also interesting to note this one unusually coloured one among the flock. This entry was posted in Uncategorized on March 1, 2015 by Richard Chambers.